I can’t begin to tell you how excited I am to share this photo of the new Andy Warhol tailored fabrics collection from Bugaboo. 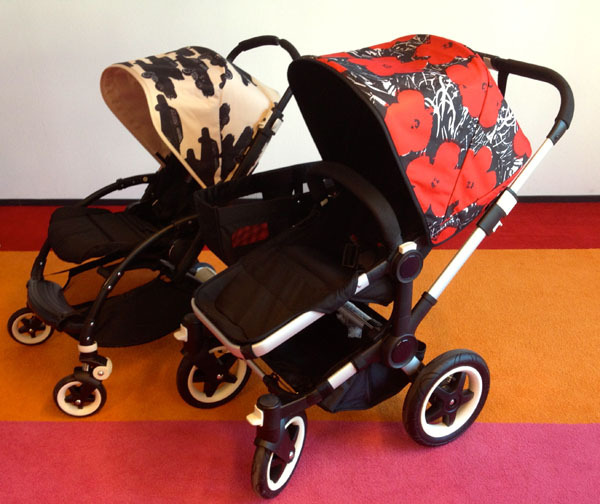 The Warhol collection only just launched at the new Bugaboo flagship store in Amsterdam today and whether you have the Bugaboo Bee, Cameleon or Donkey, these will be perfect for your prams. If you are as excited about these new special fabrics as I am, you must be asking yourself how much they cost and when will they be available in Australia. I have all the details, after spending an amazing two days grilling the sales and marketing team at Bugaboo headquarters here in Amsterdam. The cost of these tailored fabric sets is $189 for the Bugaboo Bee or $289 for the Bugaboo Cameleon and Bugaboo Donkey Mono. The parasol is $99 and would be absolutely gorgeous with an All Black Bee, Cameleon or Donkey. All sets come with a painting of the flowers or cars to keep forever. The exciting news is we don’t even have to wait a long time to dress up our prams with these stunning new fabrics, as they will be in-store in Australia from May 1, which is only five weeks away! 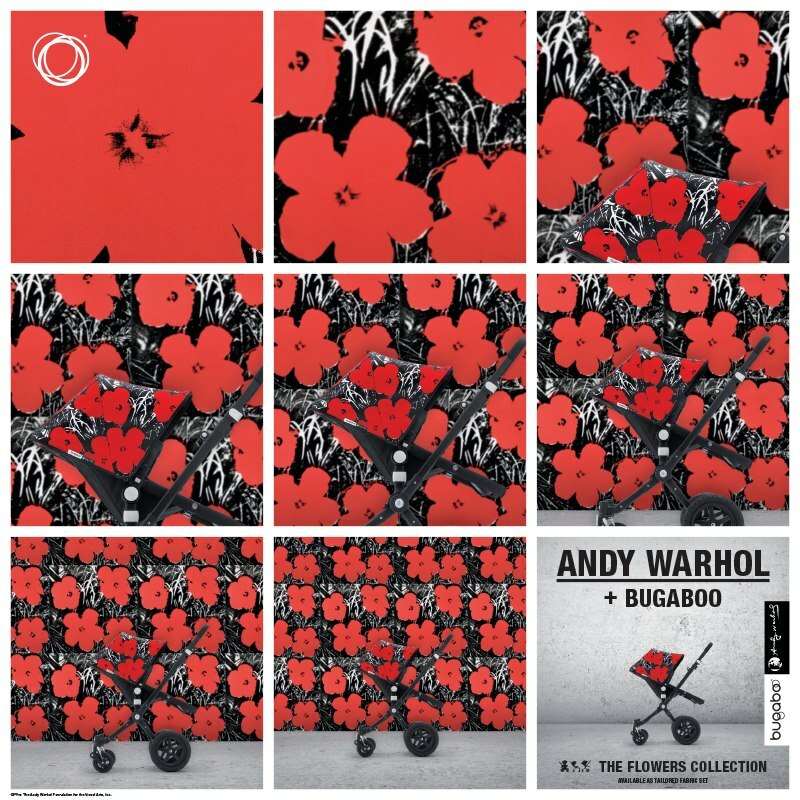 Make sure to call your local Bugaboo stockist to pre-order the Andy Warhol collection so you are not disappointed to miss out on the first shipment. In other Bugaboo news, I just test drove the new Bugaboo Buffalo today (in the snow) and it’s incredible, more to come on that next week. I also have news on the new snack tray for the Bugaboo Bee, the new travel bags for the Bugaboo Bee, Cameleon and Donkey and, of course, the store opening itself. For all our Bugaboo fans, I did manage to get a lot of your questions answered by Bugaboo and will be posting responses next week once I arrive back home.